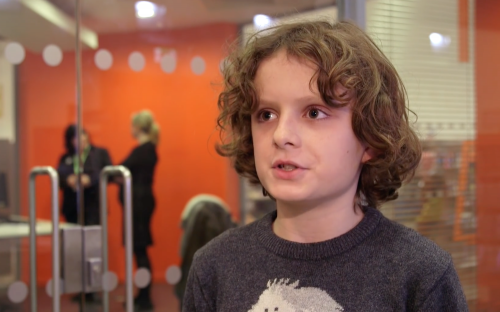 #CharityTuesday: What do kids say about Code Club? We’ve recently released a series of new Code Club videos on our YouTube channel. These range from advice on setting up your own Code Club to testimonials from kids and volunteers. To offer a little more information on the themes of each video, we’ll be releasing #CharityTuesday blog posts for each, starting with the reason for it all: the kids. What do kids say about Code Club? The team visited Liverpool Central Library to find out what the children at their Code Club think about the club and its activities, and what they’re taking away from attending. Code Clubs are weekly after-school coding clubs for 9 – 11 year olds. Children learn to create games, animations and websites using our specially created resources, with the support of awesome volunteers. 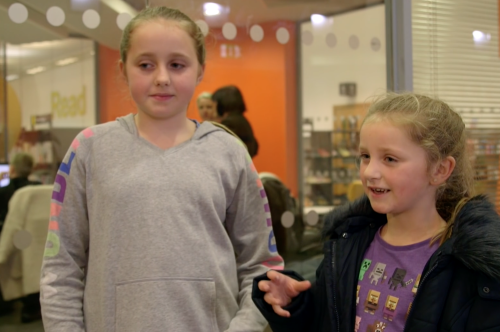 We visited Liverpool Central Library to find out what the children at their Code Club think about their coding club. We love to hear the wonderful stories of exploration and growth from the kids that attend Code Clubs. The changes our volunteers see in many of their club members are both heart-warming and extraordinary. Get involved in Code Club! Code Club is a nationwide network of volunteer-led after-school coding clubs for children. It offers a great place for children of all abilities to learn and build upon their skills amongst like-minded peers. There are currently over 10,000 active Code Clubs across the world and official Code Club communities in ten countries. If you want to find out more, visit the Code Club UK website, or Code Club International if you are outside of the UK. Hmm, a Scratch advert in Flash … is this a Retro code club? I wish I was a child again so I can join the Kids Kode Klub. Just tweeted the head line and Link to this as there is a code club information event in Paignton Library on the 13th May. Running alongside the Torbay Tech jam.